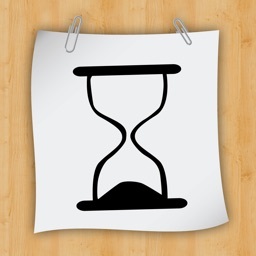 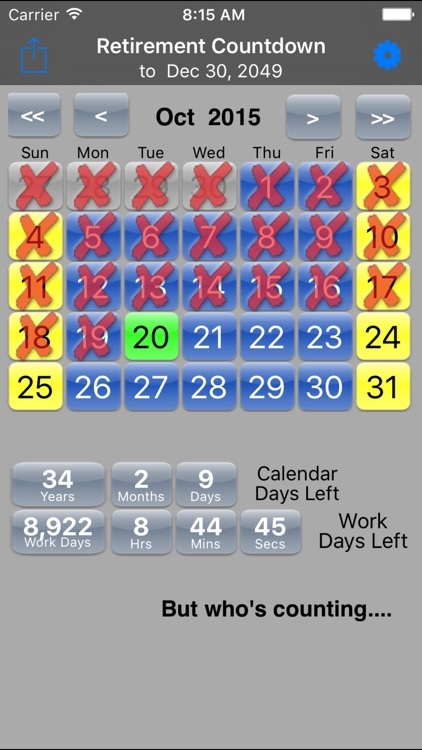 Now you can see how much work time you have left until retirement, (down to the second!). 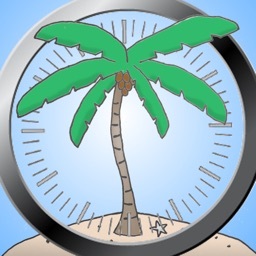 You can set your work week, work hours, holidays, even your vacations, and we will calculate your work time remaining .... but who’s counting? 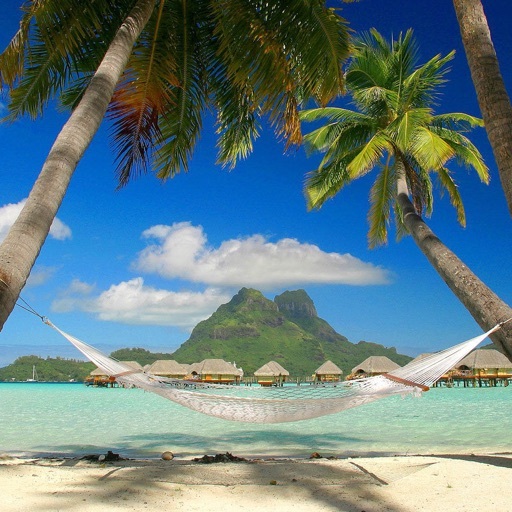 If your retirement plans don’t include a hammock on the beach, you can add a picture of your own retirement vision. 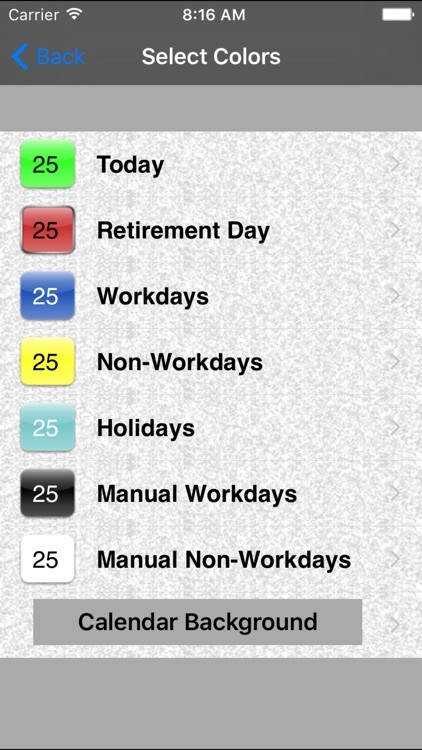 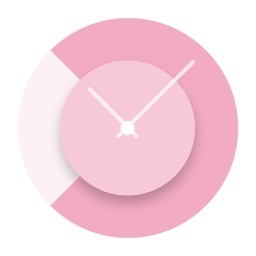 Set the colors of the days, the calendar background and text, with 500 colors to choose from. 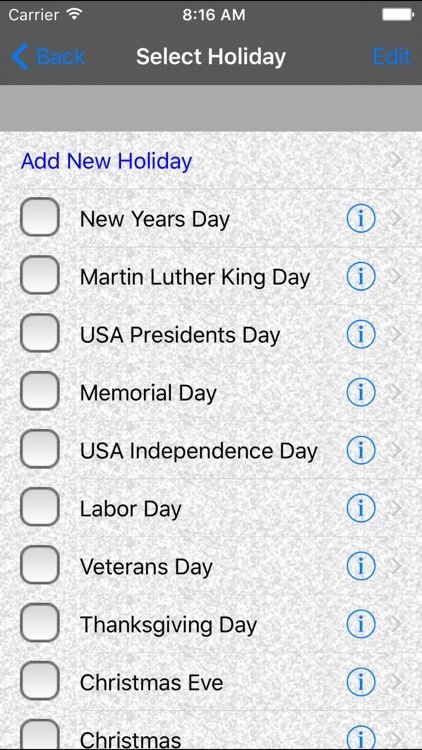 Single tap on a day and it will toggle between a workday and a non-workday, double tap and it goes back to its default. 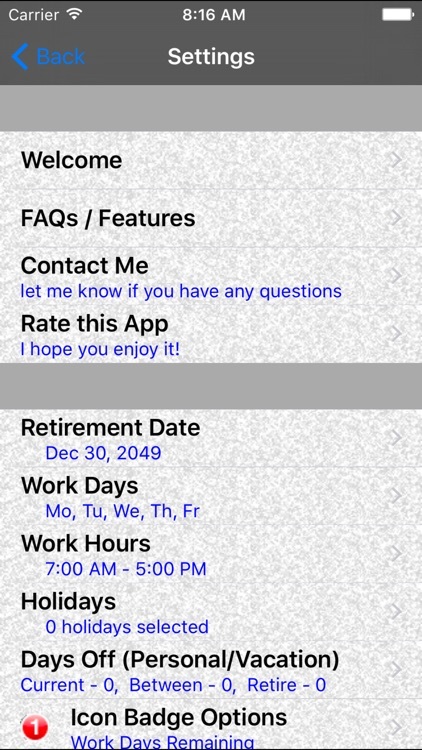 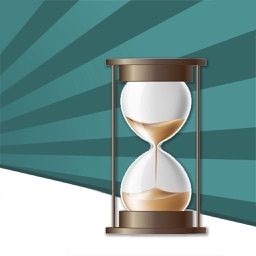 You can select work time (down to the second of course) or calendar time which will show the total years, months and days to your retirement date. 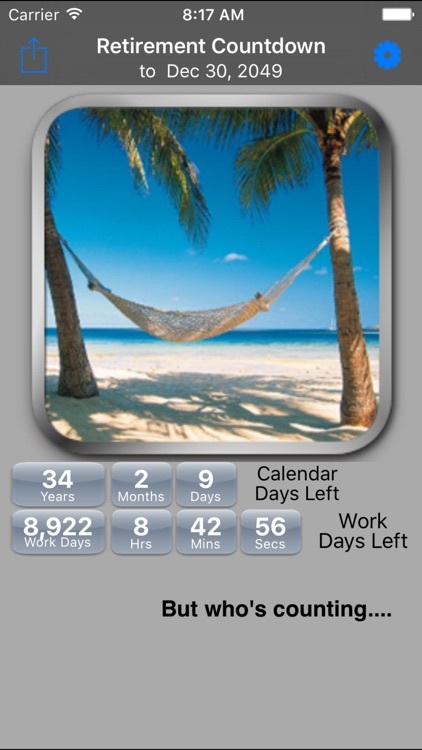 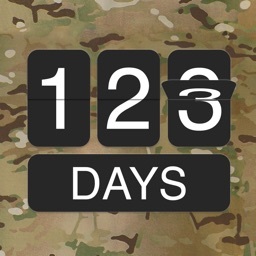 Takes a screen capture of your picture or of the calendar and emails it to a friend, not to gloat of course.